While you don’t want to have a heavy meal before bed time, some people find it helpful to have a small, healthy snack when they’re getting ready for bed. Foods with tryptophan and carbs are a good combination if you want to calm down your brain and get a better night’s sleep. 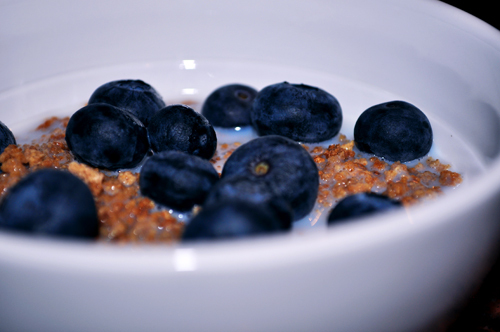 A bowl of whole grain cereal that’s low in sugar, a banana, a small turkey sandwich, or granola with yogurt are all good nighttime snack ideas. If you notice that you get indigestion after snacking, though, you may not want to add this to your routine. Some people find that eating too close to bedtime keeps them awake longer, no matter how mild and soothing the snack is.